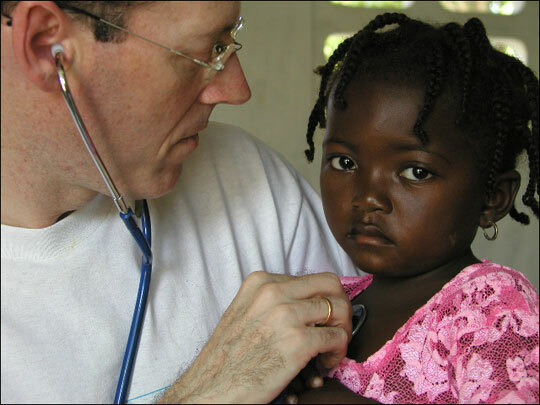 Health Is A Human Right As an infectious disease specialist, Dr. Paul Farmer has traveled the planet to organize and provide medical treatment for people living in poverty. He believes good health care is vital but just the first step in creating a world free of all human suffering. 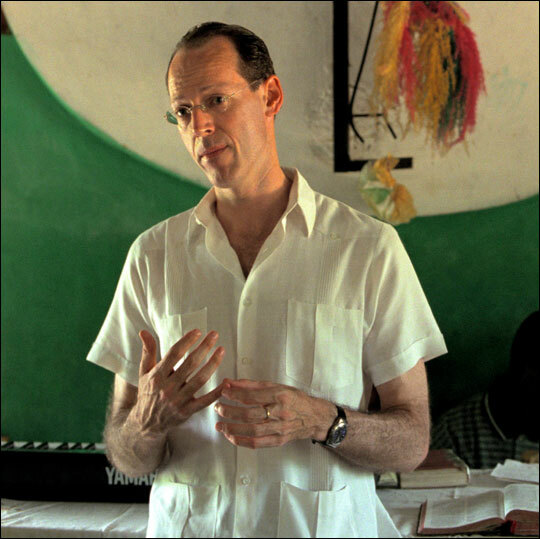 Dr. Paul Farmer is a founding director of Partners In Health, an international organization that provides health care to people living in poverty. Above, Farmer examines a child at a mobile clinic in Haiti. I believe in health care as a human right. I've worked as a doctor in many places, and I've seen where to be poor means to be bereft of rights. I saw early on, still just a medical student, the panicky dead-end faced by so many of the destitute sick: a young woman dying in childbirth; a child writhing in the spasms of a terrible disease for which a vaccine has existed — for more than a century; a friend whose guts were irreparably shredded by bacteria from impure water; an 8 year old caught in cross-fire. Li mouri bet — what a stupid death, goes one Haitian response. Fighting such "stupid deaths" is never the work of one, or even of a small group. I've had the privilege of joining many others providing medical care to people who would otherwise not be able to get it. The number of those eager to serve is impressive, and so is the amount that can be accomplished. I believe that stupid deaths can be averted; we've done it again and again. But this hard and painful work has never yet been an urgent global priority. The fight for health as a human right, a fight with real promise, has so far been plagued by failures. Failure because we are chronically short of resources. Failure because we are too often at the mercy of those with the power and money to decide the fates of hundreds of millions. Failure because ill health, as we have learned again and again, is more often than not a symptom of poverty and violence and inequality — and we do little to fight those when we provide just vaccines, or only treatment for one disease or another. Every premature death, and there are millions of these each year, should be considered a rebuke. 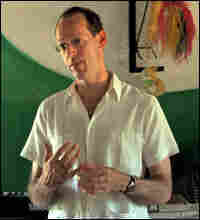 Farmer, shown above making a presentation to a community in Haiti, is also a professor in the Department of Global Health and Social Medicine at Harvard Medical School. I know it's not enough to attend only to the immediate needs of the patient in front of me. We must also call attention to the failures and inadequacy of our own best efforts. The goal of preventing human suffering must be linked to the task of bringing others, many others, into a movement for basic rights. The most vulnerable — those whose rights are trampled, those rarely invited to summarize their convictions for a radio audience — still believe in human rights, in spite of — or perhaps because of — their own troubles. Seeing this in Haiti and elsewhere has moved me deeply and taught me a great deal. I move uneasily between the obligation to intervene and the troubling knowledge that much of the work we do, praised as "humanitarian" or "charitable," does not always lead us closer to our goal. That goal is nothing less than the refashioning of our world into one in which no one starves, drinks impure water, lives in fear of the powerful and violent, or dies ill and unattended. Of course such a world is a utopia, and most of us know that we live in a dystopia. But all of us carry somewhere within us the belief that moving away from dystopia moves us towards something better and more humane. I still believe this. Kenneth Feinberg: What Is The Value Of A Human Life?